The gold standard in basketball hoops. The Spalding Arena View in-ground basketball hoop system may require help to assemble, but when the cement dries, you'll have a park-quality court at your back door. 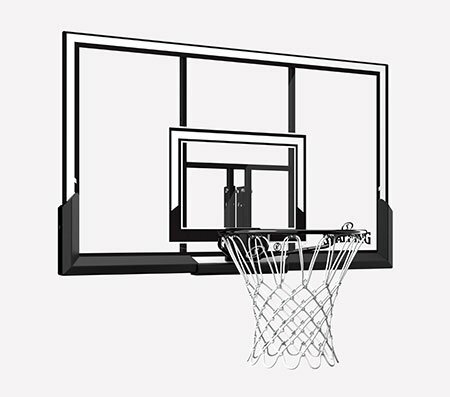 The backboard is made of thick glass, which provides the truest rebound out of any backboard material. 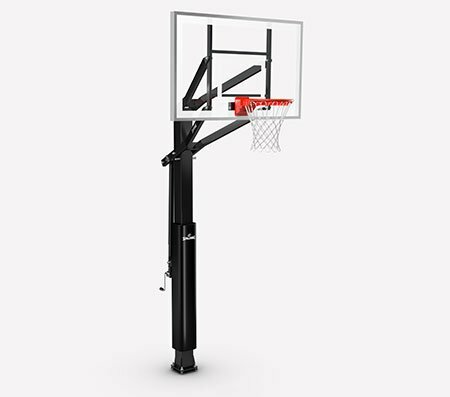 This system comes with an arena-style board pad, support pole padding and breakaway rim similar to the professional court. 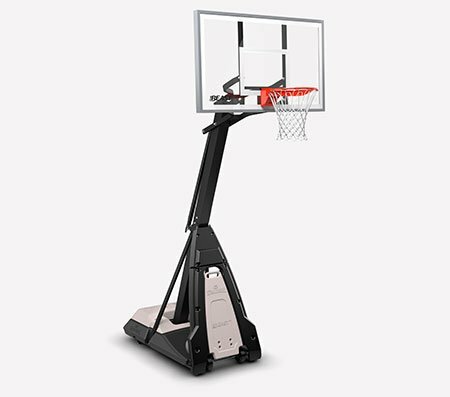 The 3-foot offset helps keep players from slamming into the support pole, and the U-Turn® Pro lift system allows you to easily set the height anywhere between 7 and 10 feet.